The tour within Kathmandu valley is a well known and popular tour that bestow with the attractive features of those places which are listed in UNESCO World Heritage Site. Kathmandu is the capital city of Nepal where numbers of temples, shrines, historical palaces and monuments exist. Kathmandu is popularly known as the city of wonders. In this beautiful Kathmandu valley, one can encounter with temples, shrines, and stupas while passing through every street. This will be an amazing moment exploring the narrow streets and lively markets of reknown tourist places in Kathmandu. Kathmandu UNESCO World Heritage Site Tour perfectly delivers those popular places which hold historical importance with fine arts and crafts. The tour within this valley will let to know about the ancient monuments and its importance. Why Kathmandu UNESCO World Heritage Sites Tour? Kathmandu is a wonderful place holding incredible monuments and architecture which is successfully luring numbers of outsiders. Kathmandu UNESCO World Heritage Site Tour is a special tour package which includes sightseeing in Patan Durbar Square, Kathmandu Durbar Square, Bhaktapur Durbar Square, Swyambhunath Stupa and Boudhanath Stupa. The collection of these sites within a single package makes the tour full of excitement. Patan Durbar Square, a historical palace consists of beautifully design buildings with fine arts and crafts in and around the palace which also have many temples that reflect the Newari fine arts, culture, and designs. The palace holds lots more historical and traditional importance. Mangal Bazaar is one of the small markets near to Patan Durbar Square which is the interesting street market that one needs to get in and explore its features. Getting to another historically preserved site Kathmandu Durbar Square lies in the heart of the city, the palace is full of interesting monuments including the house of the living goddess – KUMARI. The incredible wood carvings, fine arts, and crafts, beautiful statues and architecture make this place interesting to explore. There are other many popular temples like Kal Bhairav, Kashtha Mandap, Simha Sittal, Shiva Parvati Temple, Mahadev Temple, Teleju temple, Maju Dewal, and many other small stupas and temples. Kathmandu UNESCO World Heritage Site tour offer with another ancient palace – Bhaktapur Durbar Square, collection of divergent stone art, wood carvings, metal art, terracotta art, and architecture showpieces. This Durbar Square holds the importance of culture and tradition with the traditional lifestyle where the different popular festivals are celebrated. There are a number of temples which are providing their lion’s share to make this place amazing like Nyatapola Temple- one of the biggest and highest pagodas of Nepal with its architectural perfection, Bhairava Nath Temple, Lu Dhowka or The Golden Gate, Lion’s Gate and Mini Pashupati Temple. Another site – Swyambhunath, a religious place containing a large Buddha Statues with beautiful monuments and surrounding from where one can have the panoramic view of Kathmandu Valley. This temple is also known as Monkey Temple. Bouddhanath is another major attractive site of Kathmandu UNESCO World Heritage which is regarded as the world largest stupa and has got the same architectural design like Swyambhunath Stupa. The popular Hindu pilgrim's site – Pashupatinath Temple is one of the holiest Hindu shrines in the world which holds perfect fine sculptures, arts, and crafts along with beautiful statues of god and goddess. Exploring to these popular UNESCO sites in Kathmandu, Kathmandu UNESCO World Heritage Site Tour also include the vantage point – Nagarkot from where the majestic views of Annapurna range, Langtang range, Dhaulagiri Himal, Ganesh Himal, Gaurishankar Himal etc. can witness out. This is the exciting tour package that delivers from culture and tradition features with sites listed in UNESCO World Heritage to opulent natural features. Get connected with the team of Massif Holidays for this amazing tour package. Massif Holidays provide with the different package for the tour in Nepal as, during the tour, the team of Massif Holidays will always present to make the tour wonderful and memorable. This will be the great moments traveling to the different popular sites holding different features. Massif Holidays assure for making the journey outstanding. UNESCO World Heritage Site tour in Kathmandu - Swyambhunath, Boudhanath, Pashupatinath, and Kathmandu Durbar Square. Sightseeing in Patan and Bhaktapur Durbar Square. Mesmerizing view of mountains from Nagarkot. Witness the traditional lifestyle of different ethnics group and culture and tradition. Everest flight for one hour. 05 Breakfast, and 01 Dinner. Day 03: Sightseeing around Patan Durbar Square, Bhaktapur Durbar Square and drive to Nagarkot for sunset. Overnight stay at Nagarkot hotel. Day 04: Early morning sunrise view and Trek to Dhulikhel. Overnight stay at Hotel. Day 05: Drive back to Kathmandu and free day for shopping. Day 06: Transfer to the international airport for your onward destination. Guided city tour in Kathmandu, Patan, and Bhaktapur by private tourist vehicle. Everest Mountain Flight for one hour. One night standard accommodation in Nagarkot and one night at Dhulikhel including Breakfast. Require the number of porters to carry your bag. Private transportation throughout the tour. Other extra arrangements from the team of Massif Holidays: Customized Itinerary as per the specific requirements. 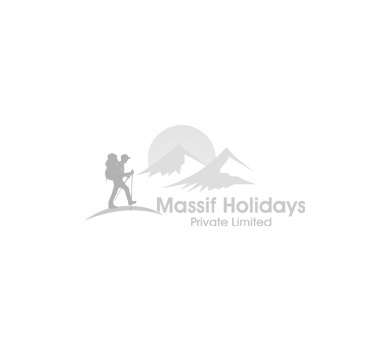 For this, please contact with the expert team of Massif Holidays as per interest. Weather condition, etc. that are beyond our control can hamper your planned trip. During these kinds of issues, we will be getting through the possible solution that can help you to get back in your trip but we are not responsible for any delay and changes.